Thursday August 4th 6pm-9pm EDT. Online. We have recently heard quite a lot of rhetoric, during an election cycle where (thanks to intentional organizing and horrific acts of harm caught on video) police violence cannot be ignored. And we have continued to see the judicial system offer anything but justice. Due to repeated requests, we are offering another one night webinar on how writers, scholars and artists can respond to police violence in this moment. This online course is for those of us who are scholars, writers and artists who are figuring out our role in a moment characterized by (a need for) drastic change. This one night workshop draws specifically on ways that Audre Lorde and June Jordan responded to police violence as poets, university teachers and public intellectuals. We need the depth of their legacy right now as much as we ever have. If you, like Audre Lorde and June Jordan, are a writer or teacher or a theorist or a thinker or an activist or a mother or all of these things at the same time, join us for a supportive space where we tap into the the power of black feminist legacy and empower each other (the nobodies that we are) to face this moment. If I did NOT participate in “Nobody Mean More: Responding to Police Violence” a few weeks ago, can I still take this course? Yes. In fact, part of the reason this course is happening is to accommodate people who wanted to participate in the first course and could not. If I DID participate in “Nobody Mean More: Responding to Police Violence” a few weeks ago, can I still take this course? Yes. Although we will be drawing on the same ancestors (Audre Lorde and June Jordan) and the same texts, we will be doing different activities. If you participated in the first class and want to stay engaged in this conversation feel free to join us again. Do I need to do a lot of reading to be ready for the course? No. When you register you will get access to all of the texts mentioned, but these are for your continued exploration and you are not required to read them ahead of time. Why are there a limited number of tickets for an online event? If I change my plans, can I get a refund? There are no refunds because there are a limited number of spots. If your plans change your offering will be considered a donation to this ongoing work. If you email to let us know, we may offer your spot to someone on the waiting list. Last week as everyone was reminded again of the urgency of our political, creative and intellectual work at this time, a group of us went underwater to hear the voices of our ancestors whose warnings, wisdom and ways are seeking to guide us in this moment. Water holds sound and the love of our ancestors holds us as we make braver and braver decisions. The Breathe Underwater: Baptismal Intensive was a sacred space of remembering and renewal. We brought our ancestors into the space, embodied each other’s ancestors, dove deep into the ancestrally co-written works of M. Nourbese Philip, M. Jacqui Alexander and June Jordan, broke our contracts with slavery and internalized capitalism, cleansed ourselves with divine memory, listened to whales, coordinated our breathing, let words wash over us and laughed and raged and rose up renewed. Below we are offering some poems that we created. We were inspired by Kitsimba’s commitment (voiced across generations in Jacqui Alexander’s Pedagogies of Crossing) that “all life is shared with those at the bottom of the ocean” to create an invocation that articulates our connection AND we each wrote poems inspired by June Jordan’s Who Look at Me to prepositionally describe our ancestral relations. Take a deep breathe and let these words hold you, like how water holds sound, like how our movement holds contradiction, like how our ancestors hold us and we hold each other. P.S. If you want to learn about future online intensive or in-person Brilliance Remastered gatherings join the email list or the facebook group. Join us on Thursday August 4th for a one night workshop on The Difference Between Poetry and Rhetoric: Responding to Police Violence. Registration is also open right now for the Nobody Mean More to Me retreat in Durham on September 9-11.
Who forgive because of me? This is a webinar intensive for thirsty visionaries who value transnational/intercommunal connections and a planetary scale of transformation. Transubstantiating the poetry of Audre Lorde, the theoretical work of Jacqui Alexander, Chandra Mohanty, Michelle Wright and Katherine McKittrick and the activist legacies of June Jordan and Lydia Gumbs, this webinar is especially necessary for thinkers connecting basic needs to brave visions. 8 spots are available. $175-225 sliding scale (payment plans available). 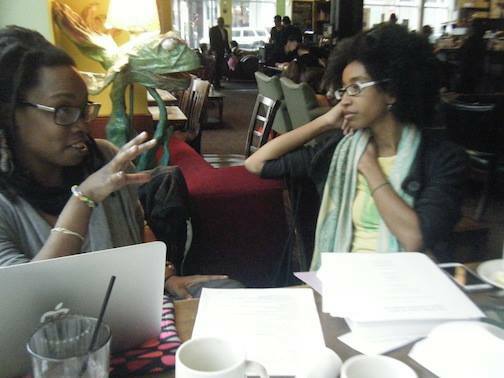 Tune in today (May 11th at 3:30pm eastern) for a long distance kitchen table conversation with Alexis Pauline Gumbs and Mai’a Williams (two of the three co-editors of Revolutionary Mothering: Love on the Frontlines) in a one on one conversation on moving from the shorelines to the frontlines, mothering, the revolutionary mothering zine, transnational fairy godmothering and more. And it is done. 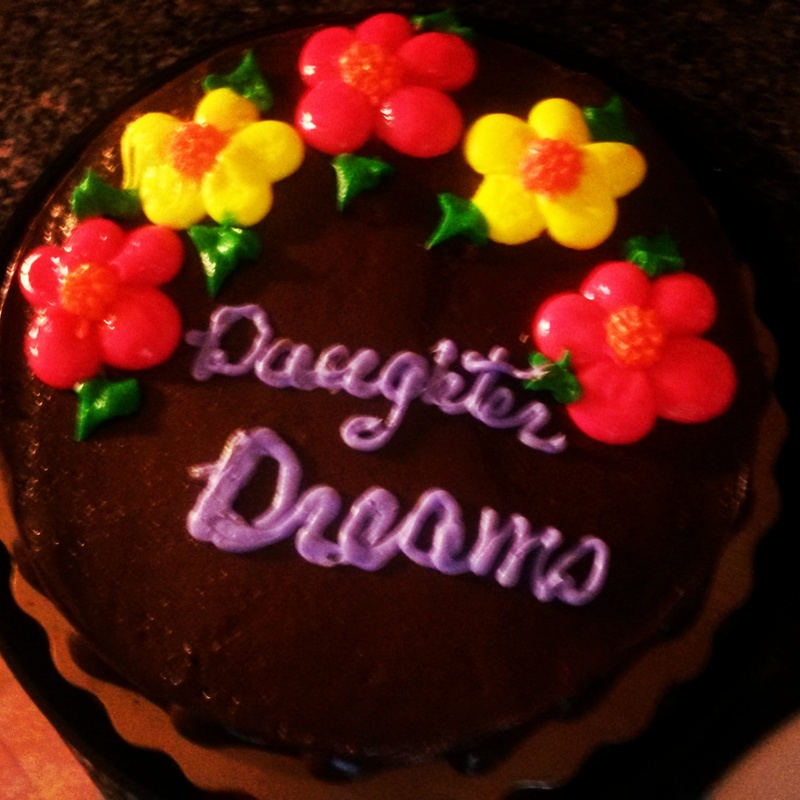 Daughter Dreams Actualized. 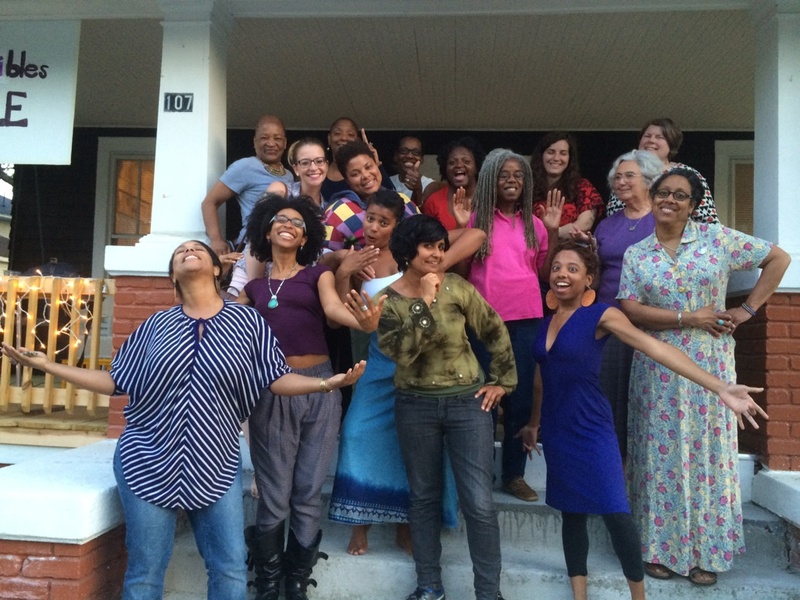 Last night’s Daughter Dreams: Revolutionary Mothering Conversation #1 was a miracle! 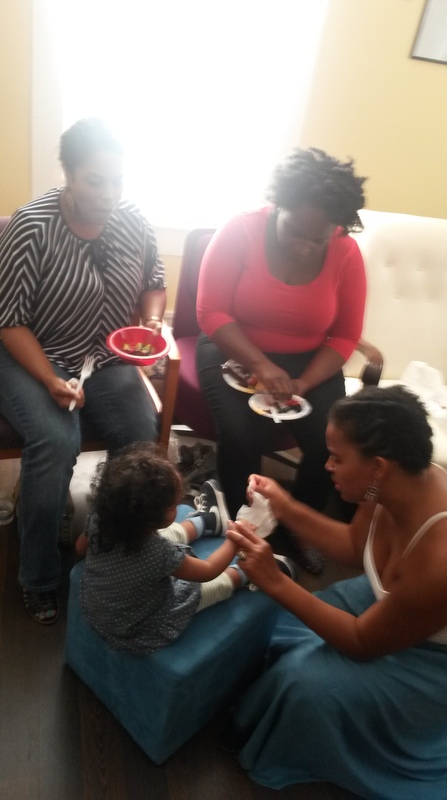 Fruit, cake, juice and profound sharing about our night dreams, our spiritual visions and our aspirational intentions about being and having daughters and mothers and birthing creativity, possibility and community into the world! After a night of laughter, tears, lesson sharing, deep listening and collaborative remembering we created a poem together and offered it to each other in a circle to witness and affirm our intentions. After each dream affirmation we repeated “And it is done,” together. We invite you to witness and affirm our dreams now. Feel free to add your own dream affirmation in the comment section. And it is done! I dream that they will one day ask “what is gender?” “what is gender violence?” because they haven’t experienced the colonization of gender and violence against women and girls. I dream of the creativity you were never allowed to express. I dream of the adventures you’ll have not that I’m grown. Our panelists Michelle Lanier, Dannette Sharpley, Rachael Derello and Dannette’s daughter Maria Lillian, blessed by light. I dream of me and the rest of her descendants experiencing a true sense of liberation in our spirits minds and bodies. I dream of grace made liberated by her love made life- overflowing in peace, fertile in shimmering goodness-glorious to behold! I dream of a world where both literary and intuition are respected equally. It is done. We live not by bread alone but by our hunches, inklings, wisdom, knowledge and sheepskin. Look out for Revolutionary Mothering: Love on the Frontlines from PM Press this Fall! This is a webinar intensive for bad credit/bad debt intellectuals committed to unbelievable futures. Engaging ideas of debt, credit and the incredible this webinar draws on texts by Evie Shockley, Fred Moten, Jamaica Kincaid, Sylvia Wynter, Gayatri Spivak and of course our real life experiences of pulling our realities out of thin air. This is especially necessary for broke and brilliant creatives committed to black life. 8 spots are available. $125-225 sliding scale (payment plans available). This webinar is for ride or die radicals who live to love the people. Drawing on the legacy of Sisters in Support of Sisters in South Africa, the solidarity journalism of Alexis DeVeaux, the blood ecologies of Jewelle Gomez and Audre Lorde and the salience of spit, saltwater and sangre, we will explore connections, contradictions and discursive possibilities across imperial divisions towards tangible outcomes. Join Eternal Summer of the Black Feminist Mind for the first in a series of Revolutionary Mother’s Day conversations. Inspired by Audre Lorde’s practice of dream-mothering (which included keeping track of her own dreams, applying lessons from her dream and her children’s dreams to her parenting, and making a space for her daughter to share dreams with her) and by the impact of her dreams on her life-saving poetry, this will be an evening of dream-sharing and poem making. Refreshments based on the favorite foods of the wise mamas will be served and copies of Laboring Positions which features Alexis Pauline Gumbs’s essay “Daughter Dreams and the Teaching Life of Audre Lorde” will be available for sale. Sustain the School of Our Lorde!